With the cold weather looming, winter in Maui doesn’t seem like a bad plan! 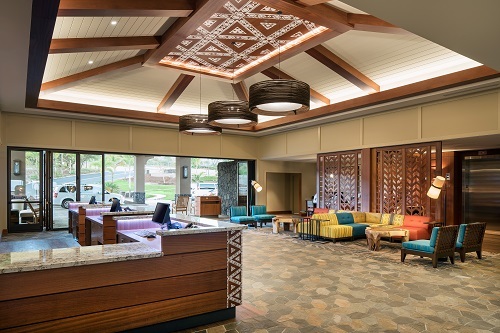 And with the new Residence Inn by Marriott Maui Wailea open and ready for business, you know you’ll have a luxury experience waiting for you. And pets are welcome! 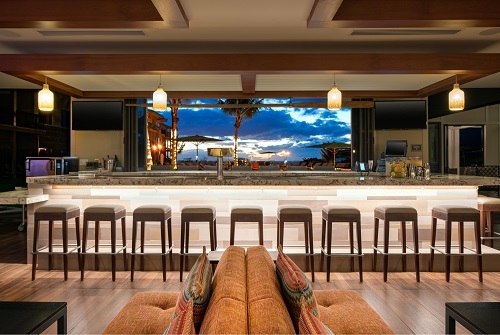 Be prepared to revel in the beauty and serenity of Maui as soon as you walk into the open air lobby that has expansive views of the Pacific Ocean. The Great Room leads to the outdoor living area where you can enjoy the outdoor pool and hot tub and the patio bar with fire pits. Hit the beach, hang by the pool, putt on the golf green or shoot some hoops at the Sport Court®—you’ll do it all with Maui’s natural landscape as the perfect backdrop. Around the island, you’ll have convenient access to The Shops at Wailea, three championship golf courses at Wailea Golf Club, Wailea Tennis Club and three beaches: Makena, Wailea and Ulua. Or grab the courtesy shuttle and visit the Maui Ocean Center and the Pacific Whale Foundation! If you want to explore on your own, just log-in to the Under Armour mapmyfitness app for a curated running route of the surrounding area! 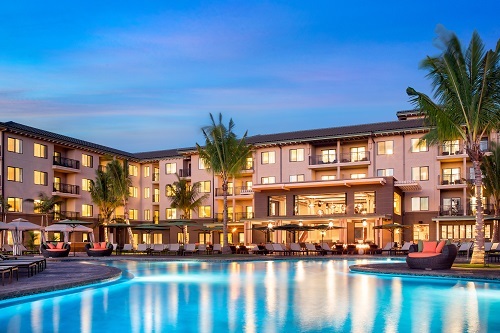 Set against a contemporary Hawaiian motif, the all-suite hotel consists of studio, one- and two-bedroom offerings. 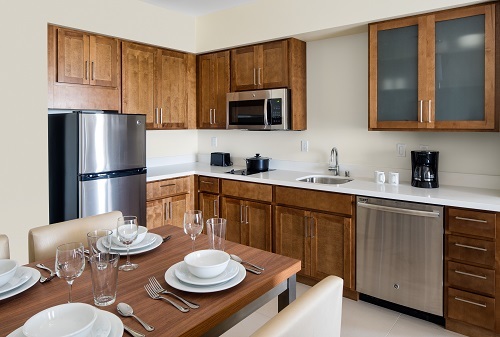 The suites have spacious living zones and fully-equipped kitchens, so you have the flexibility to stay in when little ones are cranky. The upscale furnishings, deluxe bedding, flat screen TVs, functional work surfaces and generous lanais (balconies) that open to a views of the ocean or mountainside are designed to make you feel at home in paradise!